Comments: This is a strong, robust crinum that produces a big rosette of tall, thick ascending leaves and heavy succulent stalks of thirty to fifty, tubular flowers that appear above the foliage from spring through the summer. This is an excellent specimen plant for the garden and makes a strong presence where ever it is grown. A single Bulb can weigh as much as twenty pounds. 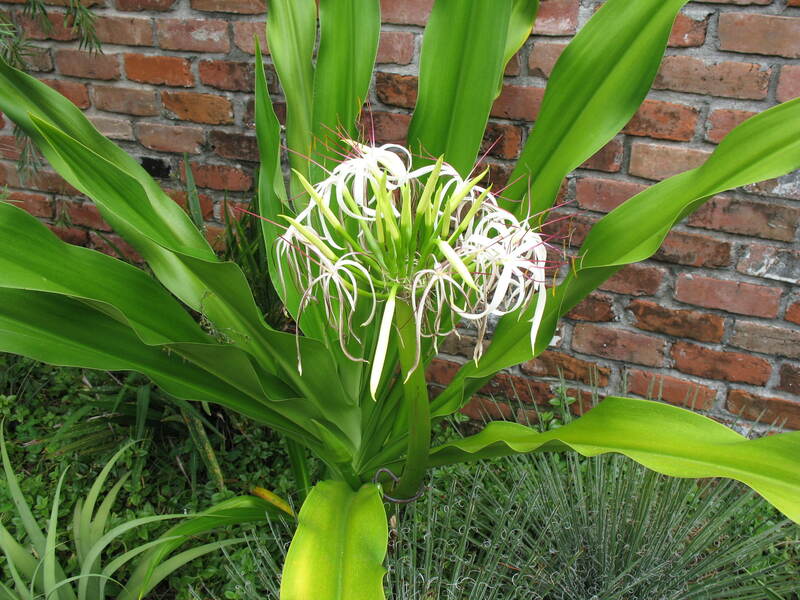 This crinum is widely grown in warm parts of the country, especially in Florida, California, Texas and other points across the Gulf Coast. Even without flowers it makes a stunning specimen in the garden. In Zone 8 the tops may suffer freeze injury, but growth will usually return in the spring, especially if plants are mulched heavily. They grow best in a moist, fertile soil, but can tolerate some drought for moderate periods of time.